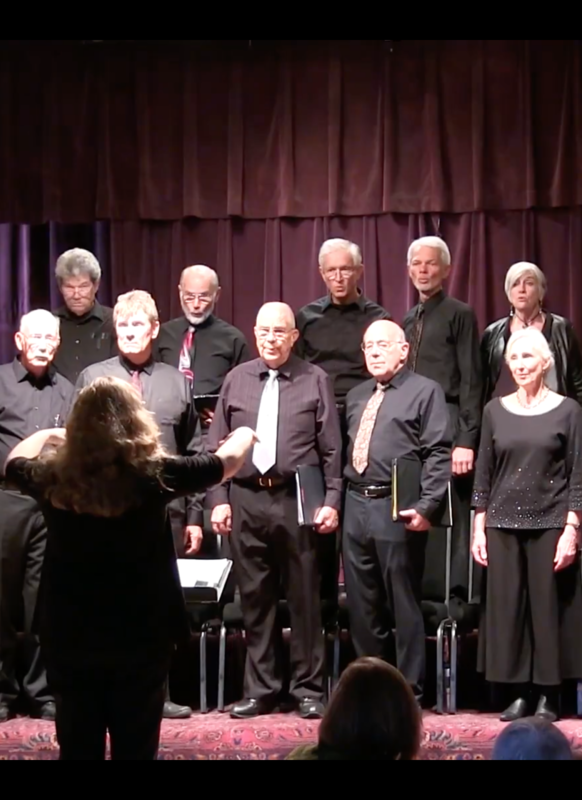 The NFCC consists of about 30 singers from various backgrounds and ages who enjoy participating in choral music and attempting moderate-to-advanced choral repertoire. We perform a range of styles and genres, from classical to contemporary, Broadway to folk, Mozart to Whitacre. Our goal is to enjoy singing within a community of musicians and to share our love of choral music with the North Fork Valley. The NFCC meets on Wednesdays from 6:30-8:30pm. Our concert seasons are generally January-May, June-August, and September-November. Come join us! Singing in the North Fork Community Chorus is focused on a season-end performance. 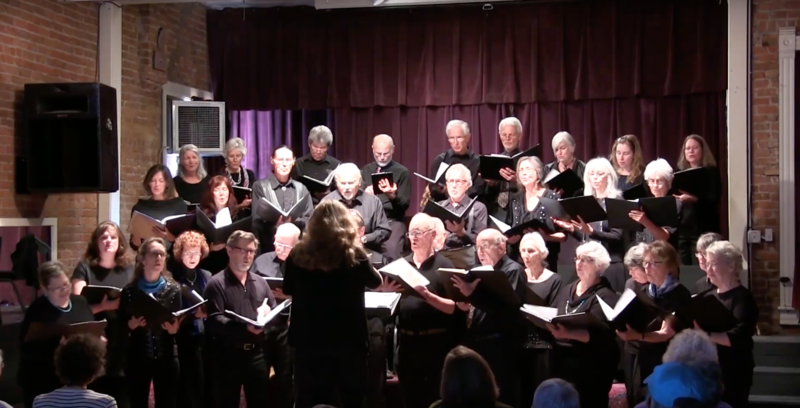 Though not auditioned, the members of this chorus are expected to regularly attend rehearsals, put in outside practice time, and participate in the performance. Choir dues are $25 for adults and $10 for students under 18; scholarships and volunteer opportunities are available in place of dues, so please don’t let this inhibit you from singing with us! All dues must be paid through the Blue Sage by the third rehearsal of the season, unless other arrangements are made. The North Fork Community Chorus (NFCC) has sung in the valley for many years, performing specifically at Christmas in one of the area churches. They came under the umbrella of the Blue Sage in 2015 after losing their director, and have been practicing and performing in the venue since. Stephanie Helleckson directed the chorus until the end of the 2017 summer concert. She gave up her position to attend graduate school in Florida. Succeeded by Dylan Fixmer, a recent master’s degree graduate of The Indiana University Jacobs School of Music, the chorus will turn to new music in its fall season. 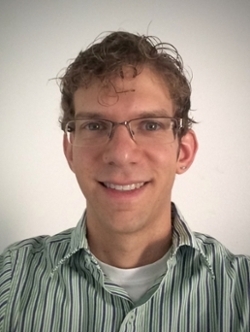 Dylan currently teaches music at Hotchkiss K-8. 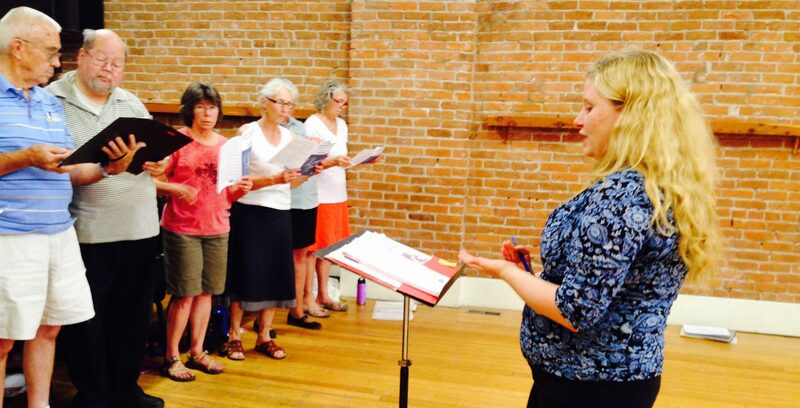 About the time that the NFCC joined the Blue Sage, Susan Ellinger, the Blue Sage’s musical artistic director, formed the Exploratory chorus to encourage people who did not know how to read music, or who had previous experience singing in a group in their distant past, or who had never sung in a group and just wanted to try to come and participate. For several years they practiced, and gave concerts on their own. Then in 2016, they began singing with the NFCC on several pieces in concert. Now the two choruses have combined to create a larger and more dynamic group of performers.